Time for this year's challenge! Woohoo! 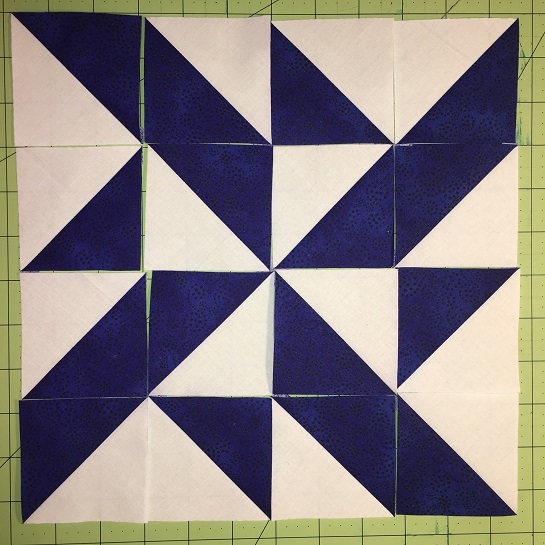 This week we're making the block below, as well as the first block from last year's challenge here. 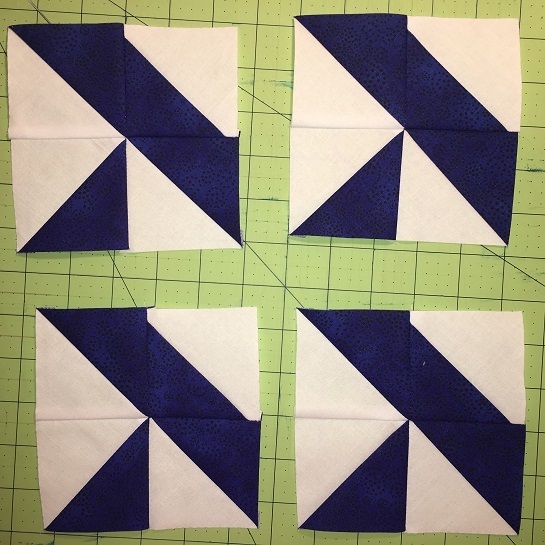 Are these new patterns of HSTs or just color reversal of the 2015 squares? It is possible to have the directions in pdf format??? Edith ~ If you do a right click with your mouse on a blank part of this page you get the option to print. When that pop up box comes up, at the top under PRINT will be your printer name as the destination. Click on the word change and you should be able to change it to a PDF file and save it. Sandie, you're awesome! I'll just print the page each week as a PDF and then upload it to the site and add it as a downloadable link for everyone. I should have thought of that myself! Liz K.
Love your HST challenge. I am a 4-H leader working with kids 8-18. 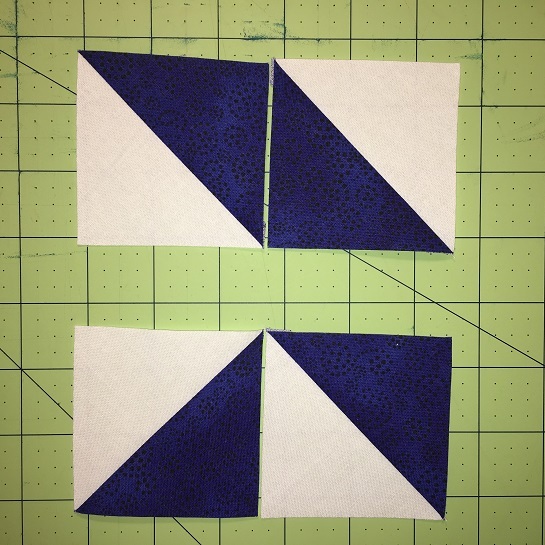 One of the levels of the 4-H quilting book focuses on HSTs. Your challenge is a great way for them to step away from a have-to do project to a I have skills to do this type of project. I was wondering if there was anyway to get the fabric requirements to do the challenge since I couldn't find it anywhere. I know you had kits previously, but I can't find them now. 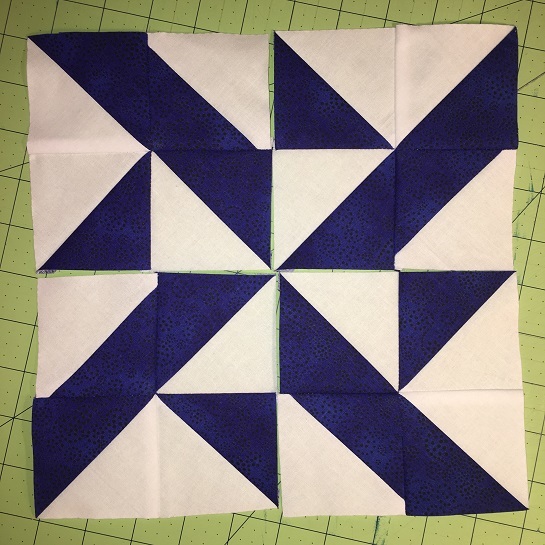 I know these challenges are designed to sell your jelly rolls, but maybe you could sell the fabric requirements for a nominal fee (under $5) that would be affordable to all... You might also "refund" the cost if the number of jelly rolls for the project were purchased from your store. 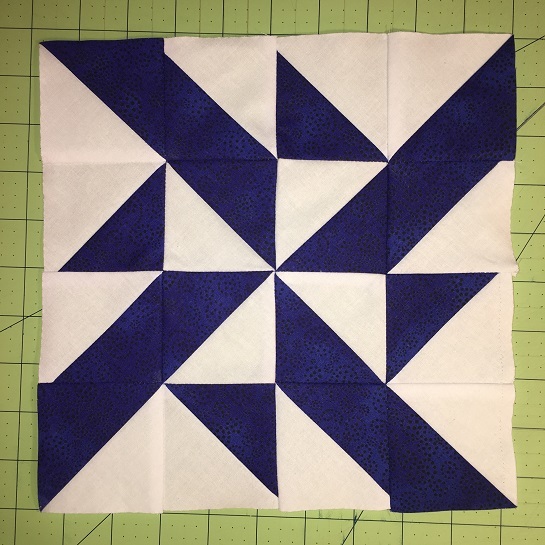 Thanks again for the great project that is great for quilters of all abilities, ages and stages. where do you go to get the pdf sheets?